A fan of Waluigi has shared a heartwarming encounter he had with Charles Martinet, the voice actor of Mario, Luigi, Waluigi, and countless other characters in the Super Mario universe. 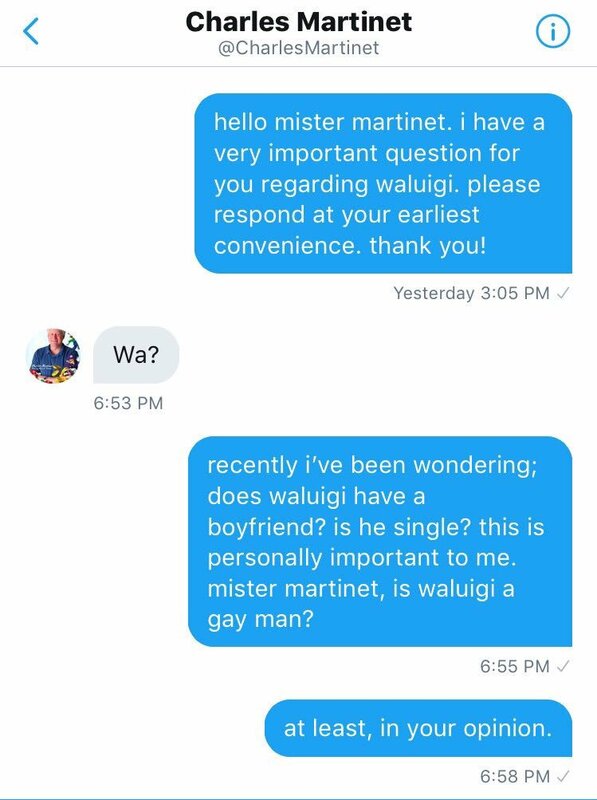 Twitter user @soyboyincarnate sent a message to Charles Martinet’s official and personal Twitter account, telling him he had a “very important question” regarding Waluigi. 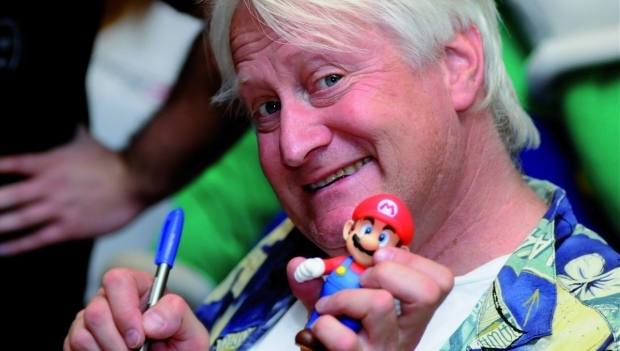 To his surprise, Charles Martinet responded “Wa?” to the Waluigi fan. @soyboyincarnate then proceeded to ask whether Waluigi is a gay man and whether is he single. 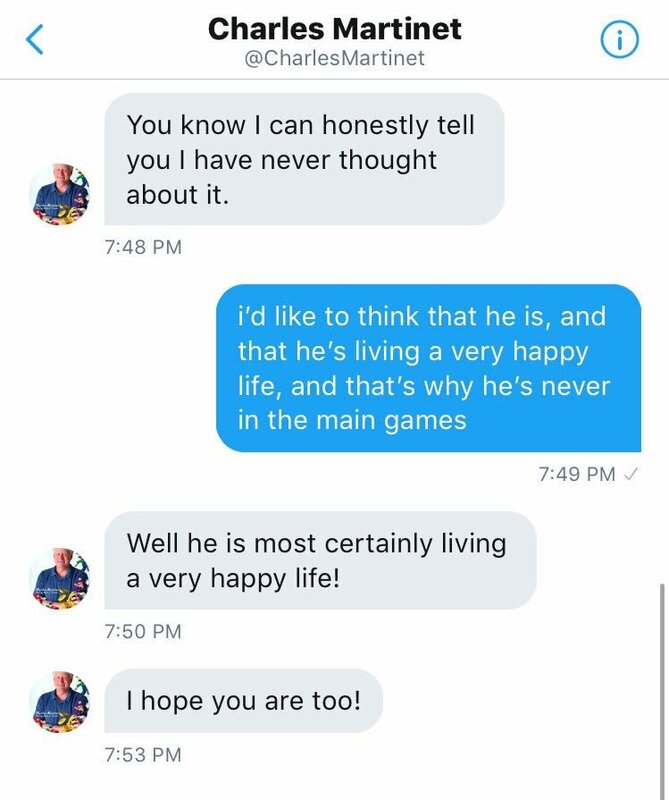 Martinet replied that while he has honestly never thought about it, he believes Waluigi is “living a very happy life”, and hopes @soyboyincarnate is too. @soyboyincarnate was overwhelmed by the voice actor’s kindness and taking his time to reply to him that he shared his experience on Twitter. He called Charles Martinet a wonderful and kind man.